Still hungry? 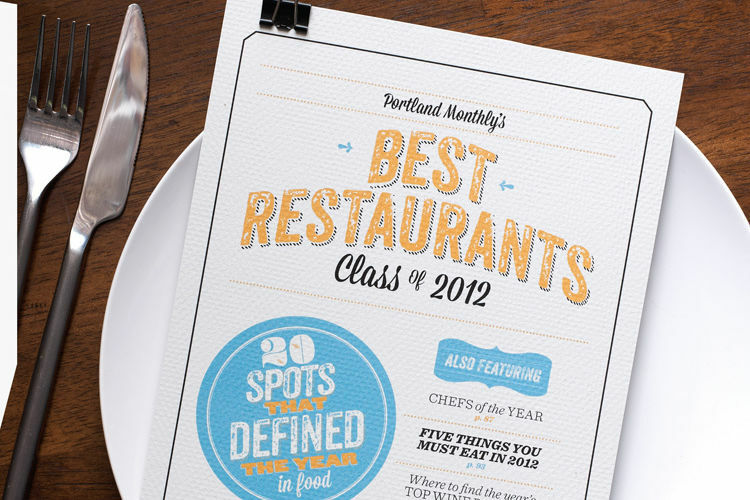 We've culled the 35 local restaurants that should remain in any food lover's regular rotation. With a reception as warm as a warden greeting a recidivist, Apizza wins no atmosphere awards. Still, for pizza theologists, it’s a temple. Owner Brian Spangler channels New York’s Italian-American coal-oven shops through an Oregon baker’s avid heart. Spangler makes dough daily (and when he runs out, he’s done) and uses an infrared thermometer to suss out prime hot spots in his electric oven. The result: muscular pies with char-speckled bottoms that make East Coast devotees swoon, from a heart-stopping “New York White” to a superb sausage and spicy peppers, all ginormous. Are they worth the hour wait—and the attitude? It depends on how badly you want the real thing. Aviary has charged into Portland’s restaurant scene with inventive, Asian-inflected cooking, plus a brand-new cocktail program and bar to match. 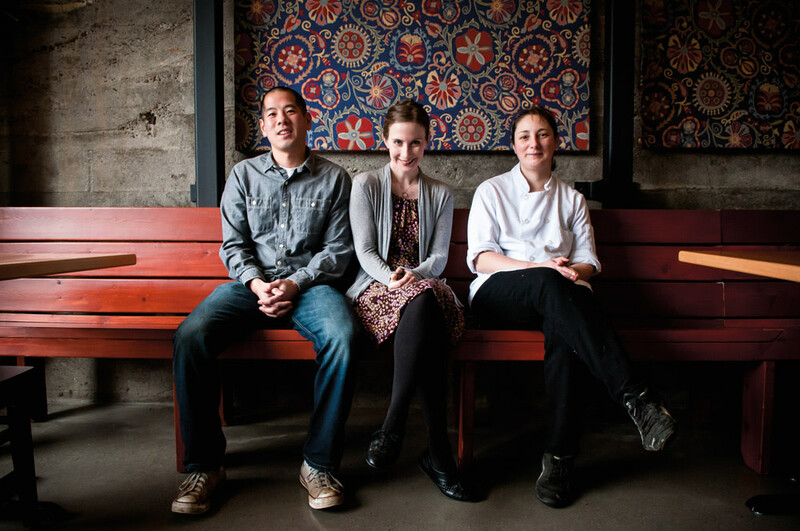 Behind the industrial chefs’ counter stands the culinary triumvirate of Sarah Pilner, Jasper Shen, and Kat Whitehead, bringing wide-ranging global influences and epicurean styles to a dozen or so small plates. A refreshingly bold menu pops with dishes like fried chicken skin salad with sweet watermelon and pickled rinds, or the popular “crispy pig ear,” served in a steaming paella pan with creamy coconut rice, chewy links of Chinese sausage, and a battery of Thai and Vietnamese herbs. Slotted behind the NE Alberta Street dining room is the bar, dimly lit and fashioned with repurposed wood from the building’s former life as a church. Bar manager Ross Hunsinger keeps stride with the kitchen, juggling drinks like the “gntnt” (Ransom Small’s Gin, house tonic, tarragon) and the bold “brix layer” (cabernet sauvignon, cherry, bourbon) on a food-friendly list. Kristofor Lofgren was ahead of the curve in 2008, when he opened the country’s first “certified” sustainable sushi restaurant, leaving the murky waters of red-listing and blue-listing to nonprofit conservation pros. The checklist of sustainable catches informs the nonpreachy menu, an in-depth list of sake love, creative sushi, and playful, visual rolls drawn from the Pacific Coast but casting a wide net to other waters. For a small, independent restaurant, and a chic one at that, Bamboo Sushi is going the distance, contracting with one fisherman to provide its annual haul of Pacific albacore tuna and salmon. Even the California rolls rise above the mundane, holding only certified local Dungeness crab while keeping prices on par with most places serving the fake stuff. Adventure is part of the house philosophy, and on any night you might find horse mackerel, Tasmanian ocean trout, or cod sperm, not to mention a darn good burger, fat with high-quality American kobe beef. 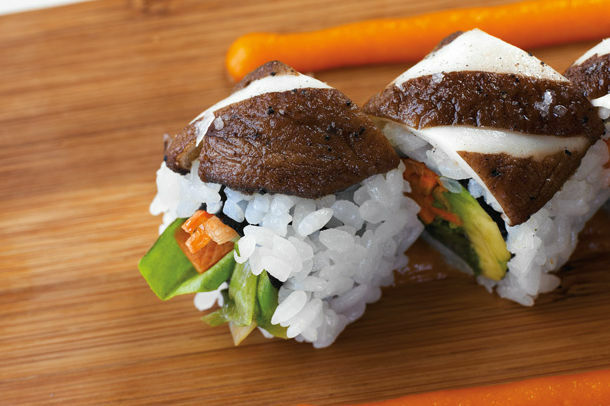 Is it the best sushi you’ve eaten? No. But it’s fun, fashionable, and thinking ahead, and happy hour is a catch. For 22 years, he was the Pasta Guy at the legendary Genoa (read: the course everyone waited for during seder-length dinners). Now Jerry Huisinga is handmaking noodles and performing quiet, old-school Italian magic at this casually modern satellite of Caffe Mingo next door. This is a good spot for wine drinking and power snacking. Get a spread of starters for the table, especially the lip-smacking chicken livers dancing on crispy toast, the irresistible mint-spiked lamb meatballs, and the best calamari around, super fresh and springy. But pasta rules, as it should, with at least a half dozen options nightly, all rolled and cut fresh, from a silky, soulful, big-flavored lasagna to chitarra (square-cut “guitar string” spaghetti) with spicy puttanesca and fried bottarga bread crumbs. The risotto (Wednesday only) banishes local competitors simply because it’s the real thing, made in fresh batches three times a night with surgical concentration. Don’t miss it. Naomi Pomeroy is a rarity: a girl cook who runs with the meat-worshipping bad boys of the Portland food scene, muscles flexed, elbows flying, but with lace showing underneath. Beast is her tiny, personalized food stage for sumptuous multicourse meals choreographed and assembled in the middle of the room. With no real kitchen, and one big imagination, Pomeroy ships an unexpected parade of elegant potpies, maple-glazed pork bellies, and foie gras bonbons in six-course prix fixe dinners that celebrate French comfort cooking and Oregon farm finds. The four-course brunch is the city’s best, embracing candied bacon and a no-brakes attitude in an atmosphere of Otis Redding and pure girl power. Come with friends or meet food-loving strangers at one of two communal tables set with dinner-party charm. Brunch only on Sun. Closed Mon, Tue. Biwa is an upscale izakaya, a Japanese bar where customers can drink beer and sake to their hearts’ content while nibbling on small plates of, say, Korean beef tartare topped with a quail egg, or the best fried rice with barbecued pork in town. Other menu delights include yakimono (which translates roughly to hot, delicious grilled meats and vegetables), chicken heart, and pork belly, all sumptuously prepared. And then there are the steaming bowls of ramen or udon noodles, served in a savory dashi broth and topped with egg or grated daikon or barbecued pork or seaweed. These dishes require no elaborate description—they’re just plain good. Portland’s swankiest perch shines under a star chef who matches the sophisticated cool of the room. Thomas Boyce, from the trenches at LA’s high-flying Spago, shakes up his feel for rustic elegance with surprising little incursions into the worlds of Korean, Indian, and Japanese flavors. He knows his way around seafood—don’t miss Korean-spiced octopus terrine—and his hand with pastas can show the magic of simple perfection. Things that seem ordinary elsewhere, like veal cheeks, are transformed into something special here with little touches, like a contrasting purslane salad, and technical know-how. Oysters on the half shell elevated on a silver pedestal feels devilishly decadent, and on any night you can soak in one of Portland’s premier cocktail scenes at the slim, chic bar. The loading-dock seats offer prime people-watching and are a hot spot for one of Portland’s best happy hours. To satisfy a Swedish meatball craving, you could drive out to Ikea, run through a hamster-track maze of fake rooms, and eventually locate the store’s big-box cafeteria. Or you could simply head down to SE Clinton Street, where a bustling Scandinavian café awaits with Danish modern atmospherics and food pretty enough for Wallpaper magazine. Once seated, settle on a Stockholm hot dog wrapped in a potato pancake with house-made relish or a baked scramble with gravlax or smoked trout, served in handsome skillets next to sides like roasted apples. Everyone comes for aebleskivers, golf ball–size puffs of batter baked in a special pan and served with homemade lemon curd and applesauce. And of course, the rich meatballs in a creamy sherry sauce are far more inspired than the ones at Ikea. 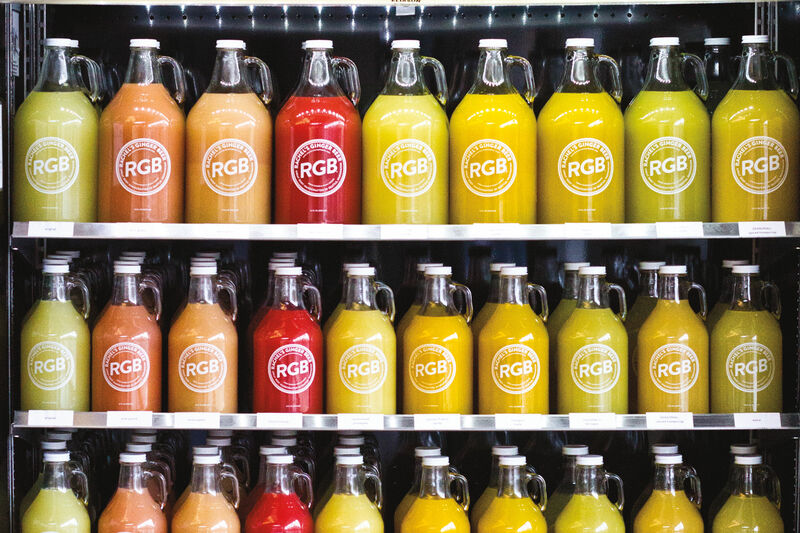 Walk down SE Morrison Street at midday, and when you reach Sixth Avenue, you’ll find yourself amid a motley crew of tattooed hipsters, besuited office workers, and vintage-clad creative sprites, each anxiously anticipating a Bunk sandwich. Co-owners Tommy Habetz and Nick Wood create dangerously good culinary experiments between two slices of bread, from a rousing salt cod and mashed potatoes toppled with parsley salad to a lusty pork meatball bahn mi sporting duck pâté. No wonder their powerhouse sandwiches have turned up on popular food shows like Diners, Drive-Ins and Dives and The Best Thing I Ever Ate. A tiny downtown location (211 SW Sixth Ave) offers the same signature, as does spin-off Bunk Bar (1028 SE Water Ave), along with loud (but well-chosen) indie music, an anti-mixology bar, and late-night hours, plus some additional finds, like a french-fry po’boy with duck gravy, courtesy of Habetz’s dream addition—a deep fryer. Ohaiyo gozaimasu!! The greeting rings out as you step through the door at this tiny, serene café. You don’t often hear the words in Portland, and it’s generally a reassuring sign that you are in the right place. Japanese families and in-the-know locals come for Naoko Tamura’s Oregon-inspired Japanese comfort foods. Bento is the star of the lunch-only menu: light, healthy, artful, and fashioned with farm-fresh ingredients. The chalkboard overhead reads like a road map of respected Oregon producers. Each lacquered box contains five compartments holding thoughtful bites: sweet omelet, silky tofu, market-fresh greens, rice (white or brown), and a changing main attraction, from lightly fried wild Oregon lingcod to farm-coddled chicken in a tomato braise. If you’re still hungry, the miso soup is fantastically perfumed, and the browned strips of pressed, gooey, rice-cake “mocheese” are terrific. Set in the bottom of the Ace Hotel, Clyde Common has a tastefully informal gourmet vibe. Framed by tall windows, the restaurant offers a bar that serves the best negroni in town, barrel-aged into something new and transcendental, along with four communal tables and an upstairs with intimate, bistro-size tables. Noise-sensitive diners, beware: high ceilings and resonant wood surfaces can make the buzz and clatter here deafening. But the small menu makes up for such inconveniences with everything from olive oil–poached octopus with chorizo and fingerling potatoes to a house-made tagliarini with Dungeness crab, leeks, and Calabrian chiles. 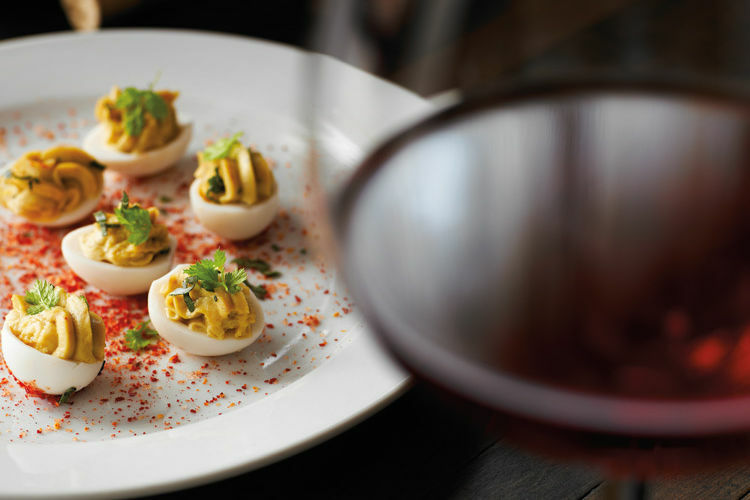 If Clyde’s brand of high-end cuisine signals a new trend in downtown hotel dining, we’re all for it. Missouri native Adam Sappington is evangelical in matters of meat and a master of American vernacular cooking—somewhere between a nose-to-tail preacher and a Southern granny. That translates to three meals a day in a family-friendly, wood-booth-clad neighborhood eatery perfumed with hickory smoke, grits, and barbecue essence. Catch the Sappington mode in Portland’s best fried chicken, skillet-crusted in house-rendered beef tallow; the squeal-worthy “whole hog plate”; or a custom-made burger on a fresh-baked onion bun elevated by a mountain of mighty onion rings. Or just shimmy up to the chef’s counter, ask for the unofficial “Animal Tour,” and watch the procession of proteins pile up. Dining at DOC is an immersive experience. Getting to your table involves walking directly past the mason jar–lined storefront, straight through the teeny kitchen (which doubles as entryway), and into the tiny, romantic dining room. DOC redefines the idea of the chef’s counter, with every table positioned in view of Italian food lovers and chefs Jobie Bailey and Paul Losch at work in Portland’s most intimate kitchen. The small menu boasts flavors foraged and farmed in Oregon, rapidly changing from week to week. A la carte options are available, but the five-course tasting menu rules at DOC: antipasti, primi (pasta and risotto), secondi (entrées), formaggi (cheese), and dessert, plus a bread course with olives and oysters to start. One day’s produce might bring a haul of summer vegetables layered in lasagna, or a primi of lobster mushroom risotto sprinkled with chives. Wine man Austin Morris Bridges pours glasses by the full or half glass from one of Portland’s best Italian wine programs. According to legend, the recipe for Dove Vivi’s crusts has its origins decades ago in what might be called a taxicab kidnapping. Eventually, by a circuitous route, the crust ended up in the possession of owners Delane and Gavin Blackstock. There remains something distinctly mysterious and foreign, perhaps even ... Californian, about this crust, but it is inarguably good. An amalgamation of locally milled organic cornmeal, Washington-grown wheat flour, olive oil, salt, and yeast results in a half-inch-thick slice, elaborately textured and slightly crispy. Sink your incisors into the kitchen’s cult classic: fresh sweet corn, smoked mozzarella, and balsamic red onions. But check the specials list for unlikely combos and the realization that, somehow, handcrafted corned beef, sauerkraut, and zucchini pickle relish make sense on a cornmeal crust served in a humble, fun-loving neighborhood spot. In 2008 Kevin Gibson, one of Portland’s most accomplished chefs, left the high-end restaurant scene to become the master of his own universe inside the Hawthorne Pastaworks. Food formulas don’t exist here. In a space no larger than a dorm room, Gibson’s mood reigns whether he is grilling a cheese sandwich, slicing up wild-boar pâté with sour cherries, or rubbing anise into duck to be paired with fresh kumquat chutney—a dish you’d be thrilled to find at a fancy restaurant at twice the price. Check for a scallops salad—a Gibson signature—or squid baked in an earthenware crock with hot peaks of blood-orange aioli (garlic mayo). If you’re on the run, grab one of the nearly dozen daily sandwiches. Best is the Little Bo Peep: exquisite lamb meatballs stacked with frizzy greens on ciabatta bread. Even by Portland standards, Evoe is quirky. But for anyone who loves great food, it’s Exhibit A for why we are the envy of the country. Closed Mon, Tue. 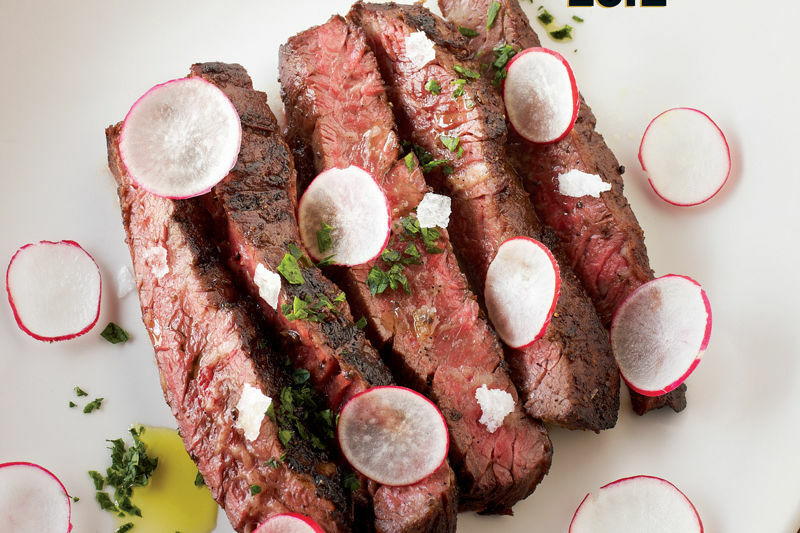 Grüner exemplifies the Portland food dream: find a style you love, and make it your own. 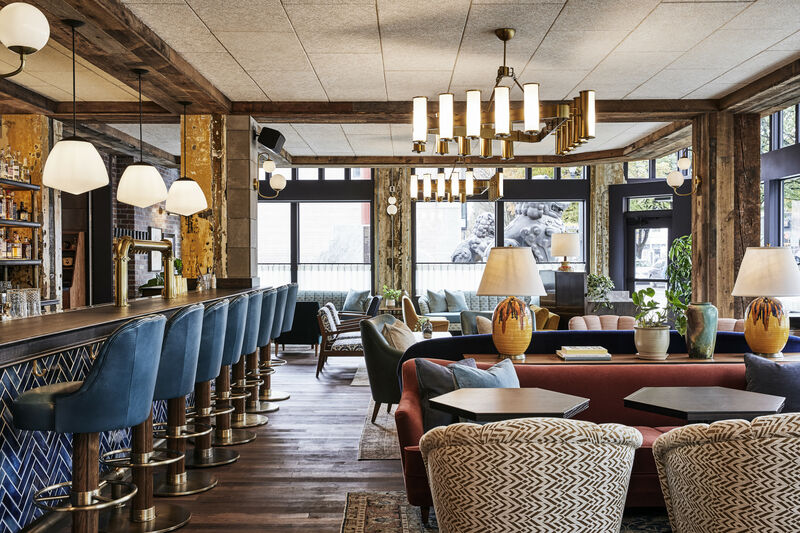 In this, his Alpine fantasy, chef Christopher Israel makes art of Mitteleuropa in a jewel-box revamp of the leaden and the uncool. Snag a bench at the beech-wood stammtisch (family table) and begin your climb to the mountaintop with two unworldly visions: beet-pickled hard-boiled eggs and a plate of thin-cut radishes displayed like an Indian mandala. Braised rabbit/chicken is a must, blushing with savory juice and paired with tender spätzle, as is the cider-poached calves’ liver. Grab one smoky, bacon-topped burger for the table, and throw in a side of smashed potatoes—even your thighs will forgive you. Close with homemade doughnuts, with a warm bath of chocolate ganache for dunking—a foretaste of heaven. Curated wines and oddball digestifs should not be overlooked. 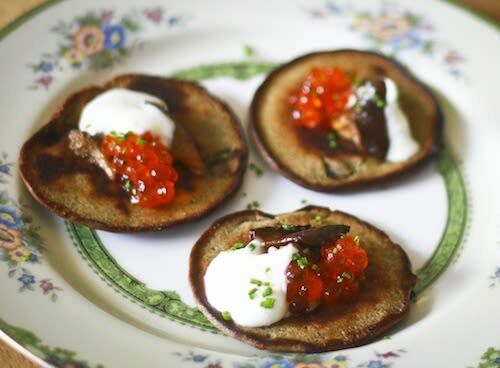 Or head next door for inventive sipping at the adorable Israel-designed Kask (1215 SW Alder St). Three years ago, Portlanders wondered if Israel could really pull off his vision for schnitzel cuisine. Who’s yodeling now? To find noodle soup paradise, jump off of SE 82nd Avenue into the hidden Wing Ming Square, walk past—or slow down and browse—the herb shop selling spore oils and deer-tail extracts, and you’re there: HA & VL. Owners Ha “Christina” Luu and William Voung are artisans, crafting small-batch regional Vietnamese soups with flavorful free-range chickens, meticulously skimmed broths, and noodles fully soaked before taking a dip in the boiling pot to assure an extra bounce of chewy goodness. Every day brings two options, but Thursday delivers the ultimate double bill: snail noodle soup, with fresh-ground ginger sauce for dipping, and shredded chicken noodle soup as you wish your grandmother could make it, with punctuation marks of sliced pork and ribbons of fried egg. The Popsicle-colored café is part of the charm, and if you ask, Luu will whip up the best Vietnamese iced coffee you’ve tasted. Come early: the goods are often gone by noon. 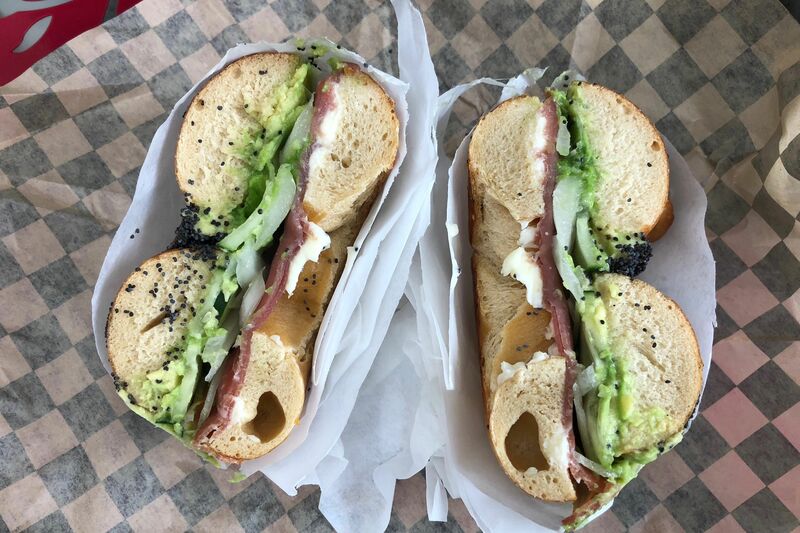 Set in the ground level of the Ace Hotel downtown, Kenny & Zuke’s Jewish-inspired delicatessen is about as close as you can get, without the schlep, to a consummate New York pastrami on rye. Sure, the authenticity of the unusually thick-cut meat is one for the Talmud scholars to debate, but there’s no doubting the East Coast pastrami mode: cured, smoked, and steamed, then hand-carved to serve on house-made rye, straight up or with traditional over-the-top accessories like chopped liver. The epic-length menu offers everything from bagels and bialys to challah French toast, latkes, and blintzes to satisfy the most insatiable fressers. But pastrami is the show—you can even have it on your burger. French-style bread baker Ken Forkish helped lead Portland into pizza’s promised land in 2005 with experiments at his landmark Ken’s Artisan Bakery. By ’06, he’d spun his puffy-crusted wonders into their own restaurant, complete with a wood-fired oven, a serious Oregon-focused wine list, and a warm setting full of local salvage. Today, lines form by 4:45 for crust that’s toasty and dusky with a nice blush of char, a delicate tomato sauce, and a dozen restrained topping combos, like green garlic with Grana Padano and pecorino or homemade sausage with fiery chiles. Ken’s spicy soppressata truly elevates the art form, with joyful mouthfuls of crispy salami, wild heat, and smoky dough. 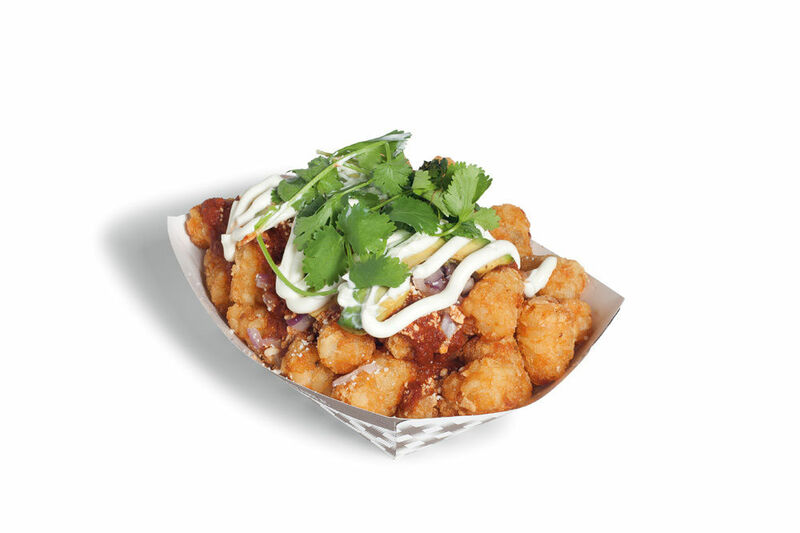 Carryout available Sun–Thu. Over the past five years, one-woman show Amalie Roberts has garnered a reputation for running one of the best wine bars in the country. Kir’s devoted drinkers define the hole-in-the-wall space as a neighborhood fixture, where a giant chalkboard above the bar rotates every day with curious grape varieties, and seasonal dishes showcase simple, bold flavors with an eye toward harmonious pairings. 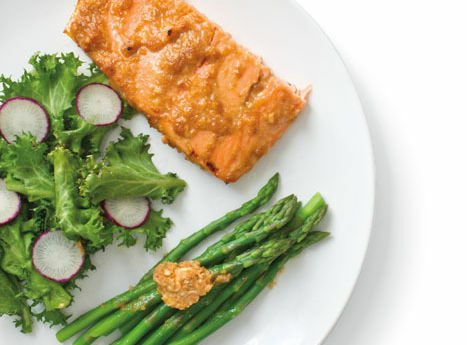 Radishes quickly sautéed and slathered in tarragon butter over charred bread sing with a Gran Moments Rosé Cava, and house-smoked trout tossed with toothsome slices of root vegetables is notched up by a sparkling cab franc with dark, dusty undertones. Wine novices, worry not: the staff will guide you to beautiful mixes and matches. Portland’s first indie steak house features an eye-popping butcher counter up front and a notable lack of cigar-chomping ambience. Equal parts American brasserie, lunchtime sandwich shop, and neighborhood diner, Laurelhurst Market was conceived by Jason Owens, Ben Dyer, and David Kreifels, the trio behind Simpatica Dining Hall. Their changing menu showcases local meats and seasonal vegetables as well as moderately priced steaks from affordable cuts (tri tips, skirt, bavette) and a love of handcrafting down to fresh-made graham crackers and marshmallows for s’mores—not to mention a passion for house-smoking, fueled by a whomping brisket swaddled in soul-satisfying barbecue sauce. Unlike its wallet-wringing west-side steak-house peers, Laurelhurst asks $25 or less for many of its entrées, which means dining can be a joy for both prince and pauper. The brainchild of husband-and-wife team David Welch and Jenn Louis, Lincoln soothes more than it struts, as evidenced by its straightforward, minimalist menu and sturdy fir tables. Louis eschews big flavors and gimmickry for freshness and balance. Her dishes are ingredient-driven and often outstanding, as with a signature appetizer of two eggs baked with cream and chopped green olives, or a delicate hanger steak topped with blue-cheese butter beside a tower of buttermilk-dipped onion rings. 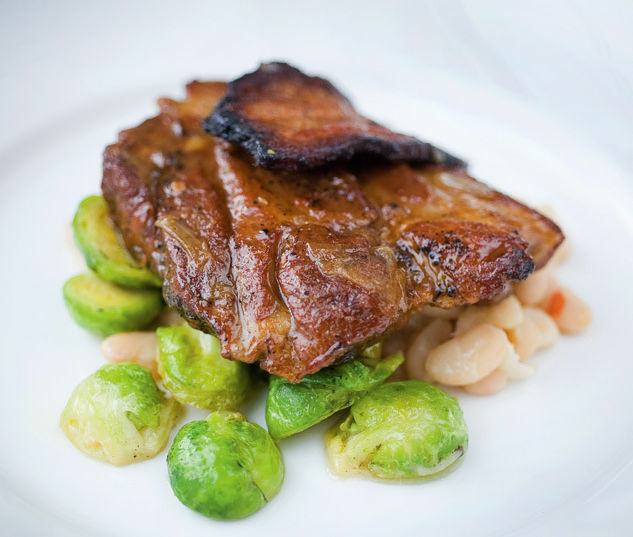 Meats are cooked to the perfect texture and temperature: although the offerings change daily, you might be lucky enough to find a sliced pork shoulder served over creamy potato-and-parsnip purée and doused in a piquant salsa verde (with a boneless smoked pork shank folded into the mix). The warehouse space has been remodeled, but nothing about this restaurant is new-fangled. Closed Mon. Le Pigeon bad-boy food star Gabriel Rucker is known for ruffling feathers on Portland’s east side. But his spin-off downtown bistro is accessible, easy, and seductive—more bluebird than street bird. The new place skips the DIY approach for tush-friendly banquettes and food nested in the classic French bistro, with just enough edge and Northwest noir touches to keep it original and interesting, from lunch through late night. Get in on Little Bird’s luscious little pots of duck-liver mousse, full-on flat-iron steaks, lusty duck confit, and, for more adventure, hulking marrow bones that look on loan from a natural history museum. 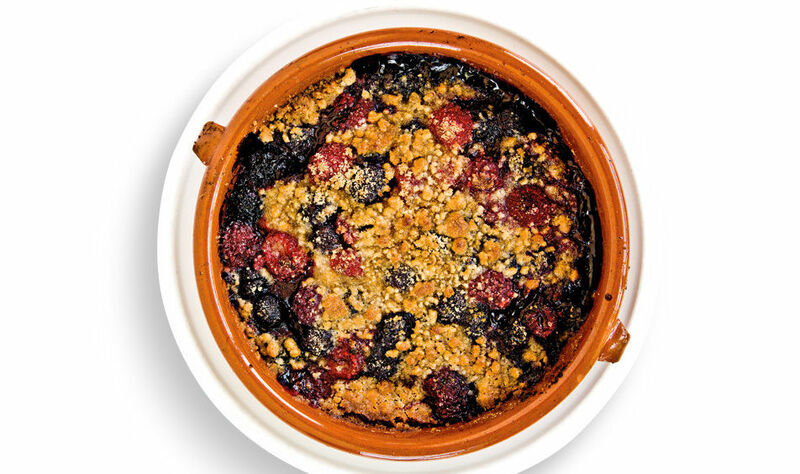 Grab something to drink from a wine-lover’s list strong on Burgundies, and conclude with a pitch-perfect tarte tatin or ice creams to melt your heart—six highbrow flavors arriving all at once. Vive la France in Portland. 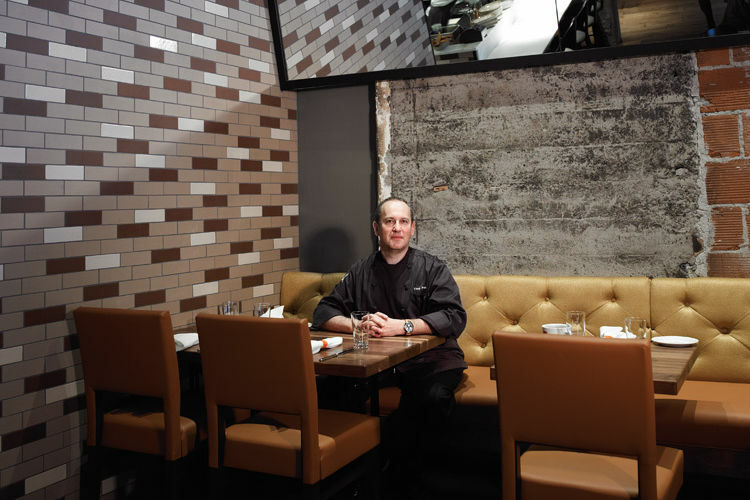 John Taboada pioneered a new east-side indie food style with this 33-seat eatery in 2002. He hand-built the interior for the price of a used car, then filled it with a local-farm gestalt, scholarly European village recipes, and his own definition of how a restaurant could be run—freewheeling, food-focused, and tenderly priced. 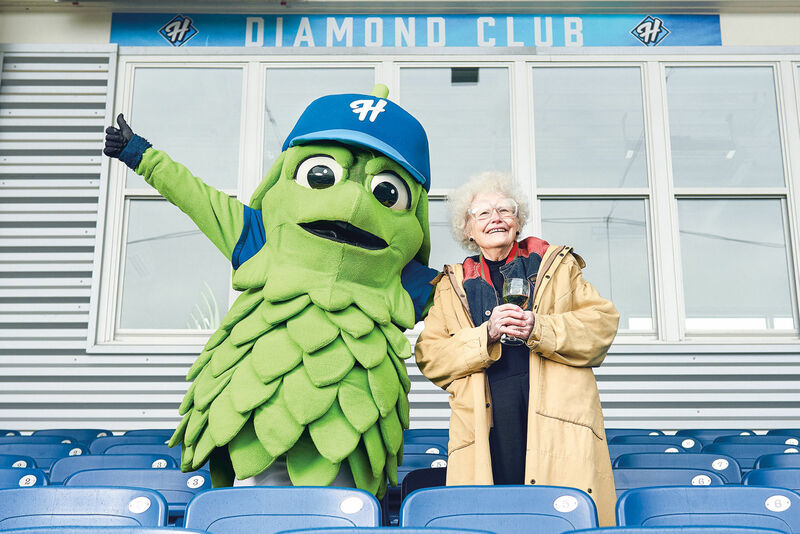 In a city that prides itself on a farm-to-table ethos, nobody embraces the philosophy more completely: ninety percent of the produce is grown within the city limits. You won’t find a more original seasonal menu anywhere. Pear chocolate pie, candied fennel stems, lamb ham—if it’s on the list, it was made in the kitchen. A lawlessness hovers in the air, and that’s part of the magic. Nostrana’s love letter to regional Italian cooking and Neapolitan pizza is a vision of Portland: a local legend (former Genoa co-owner Cathy Whims) cooking the food she loves at moderate prices, sophistication without the pretention, a devotion to local farms and purveyors. 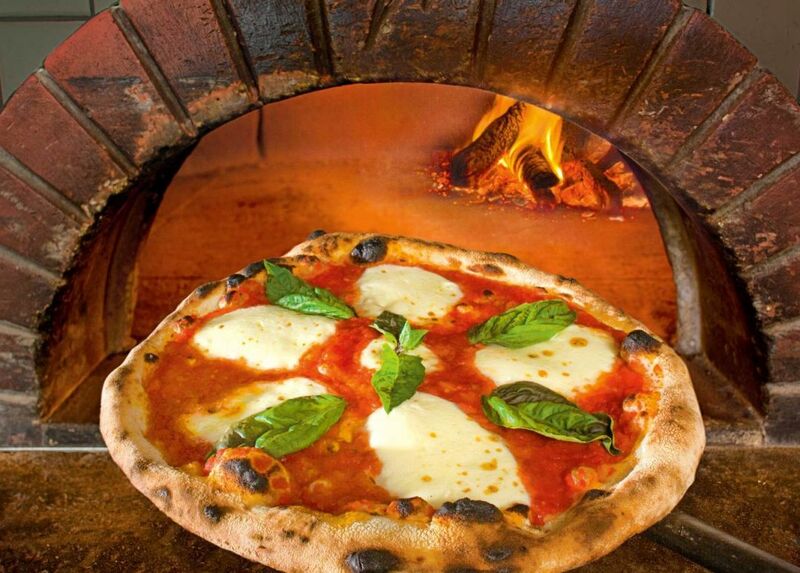 This is Italian home cooking as it should be—stripped down, honest, powered by wood fire. No place in Portland is better suited to please a diverse crowd: foodies, kids, wine lovers, your adventure-fearing relatives. The mandatory preamble is the Caesar-esque insalata Nostrana. Pasta with tomato butter embodies the joy of simple purity, but desserts—hot-from-the-oven fruit crisps and intensive chocolate bodino—can make you gasp. Lunch is one of the city’s best-kept secrets, and the bistecca alla Fiorentina is arguably the city’s best steak: 2.2 pounds, wrist-thick, cooked over oak fire, and big enough for four. No worthwhile dim sum experience is complete without the following: a parade of multitiered push-carts squeezing through tightly packed chairs with the day’s offerings; house specials not found elsewhere; and the joyful noise of entire Asian clans gathered around massive lazy Susan–topped tables and spinning a feast of barbecued pork buns, pinched dumplings, chicken feet, and all kinds of baked, leaf-wrapped, and steamed wonders. Ocean City delivers, and as at most dim sum houses, the selection is biggest and best on weekends (up to 100 options), and more exciting than the encyclopedic Chinese dinner menu. Come with a group and order wildly—anything that looks good. (Saucers average $2.75–3.75 for several pieces.) Zoom in on specials offered on trays, and don’t miss the deep-fried shimp pressed around sugar cane or the divine golden egg custard bun. Portland’s tiny temple to Thai street food is an icon of do-it-yourself genius and food obsession. From its bare-bones beginning as a takeout shack, Pok Pok has grown into a full-on indoor-outdoor eating experience while owner Andy Ricker has earned a reputation as the country’s foremost Thai grilling expert. Order a plate of khao man som tam—blissfully sweet shredded pork served over coconut rice with green papaya salad—and sit at one of the (heated and covered) outdoor picnic tables. Or step into the small, adjacent, speakeasy-like dining room. Inside or out, don’t miss the blackboard specials, unusual dishes like grilled boar collar, and signature chicken wings (marinated in fish sauce and palm sugar, deep-fried and caramelized, then tossed in garlic and a bit of heaven). For dessert, a dreamy affogato of condensed-milk ice cream drowned in Vietnamese coffee is a must, with unsweetened Chinese doughnuts on the side. One can’t live on pimento cheese alone, but if you could, we’d recommend doing so at this institution of opulent Southern comfort. The airy, modern restaurant serves all manner of iconic Dixie-inspired dishes, from succulent Carolina-style pulled-pork sandwiches to fried buttermilk-batter chicken. (The cocktails, from the sazerac to the porch-worthy alcoholic lemonade, are equally inspired.) But Northwest ingredients also shine here, as evidenced by an ever-changing seasonal, organic sides menu, which includes such delicious combinations as English peas sautéed in tarragon-spiked butter sauce. Show up for brunch and feast on a hefty portion of fried chicken and waffles drizzled with maple syrup. No matter when you arrive, you’ll encounter nothing but ol’-fashioned hospitality. A catering outfit by day, Simpatica rolls out a reservations-only, four-course dinner every Friday and Saturday night ($30–40). To get in on it, you’ll need to jump on the e-mail list at simpaticapdx.com—but the extra effort will be worth it. You might start off with a potato-leek soup topped with crème fraîche and finely chopped chives from the farm-to-table menu before moving on to herb-roasted Draper Valley chicken and slow-cooked greens with house-made bacon. Then again, you might not—the chefs (there are three) haven’t repeated a menu since Simpatica opened nearly six years ago. For the walk-in Sunday brunch, diners can order items à la carte, such as buttermilk biscuits drenched in country-sausage gravy, eggs Benedict with house-cured Canadian bacon, or fried chicken and waffles. But arrive early, or you’ll be caught standing in the hall. If you’re in a French mood, a bit of Lyon can be found in a converted 1890 house relabeled as St. Jack. By day, pull up to the pâtisserie, a cozy zinc counter and a curtained nook, and simply point to cannelés, éclairs, and whatever else begs from vintage cake plates. The wise make sure to commission a batch of madeleines, made to order and served warm. As darkness falls, St. Jack transforms into a three-room riff on a bouchon, an offal-loving den of informality, common in Lyon, that serves bulk local wines and food made for cast-iron stomachs. You won’t find regional legends like calves’ muzzle or salade de groin d’ane (literally, “donkey snout” salad). But bubbled-over crocks of macaroni gratin pounded with bacon lardons and boisterous plates of blood sausage leave no doubt: Lyon is in the house. Tanuki’s new incarnation on SE Stark Street is a cave of debauchery, with unbeatable izakaya (Japanese bar food) and a knockout drink list on the cheap. The menu is a dizzying array of pickled plums, kimchi spice, and fermented noodles, but don’t panic—there’s an easy way out. 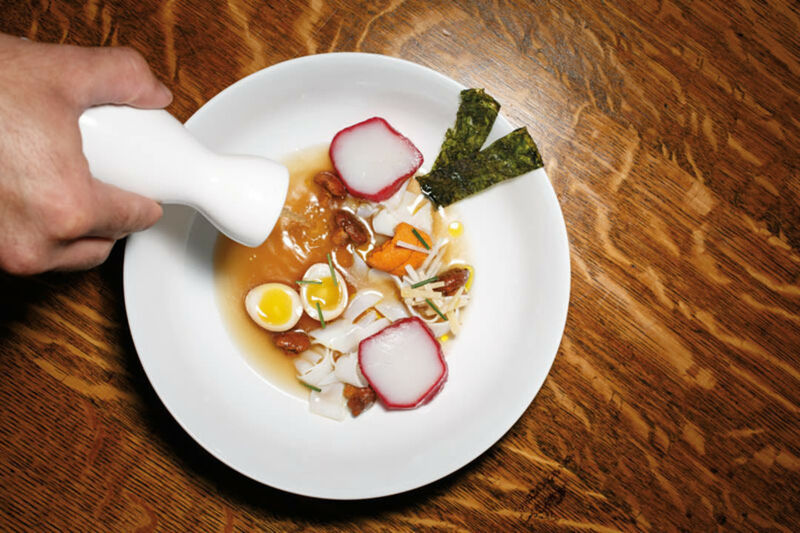 Order omakase (basically “chef’s choice”): you name the price, and chef-owner Janis Martin will unleash a parade of spicy, salty, and sometimes unidentifiable plates for the whole table. Twenty dollars brings an onslaught of 12 gut-busting courses, from cinnamon-spiked, tea-stained quail eggs to Netarts oysters under an avalanche of shaved kimchi ice. Tanuki is Portland’s ultimate izakaya joint: dark, delicious, and requiring no forethought. 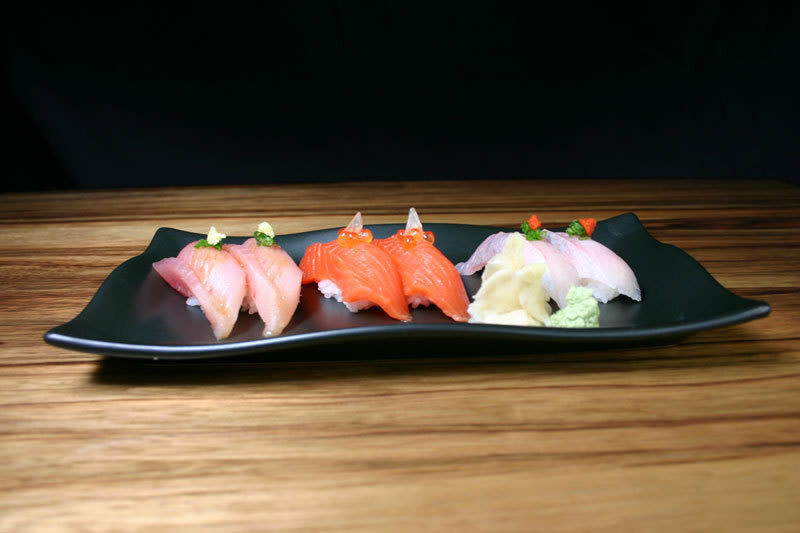 Grab a bottle of sake for the table, say “Omakase!” and settle in for an evening of hard eating. Just remember the rules from the original Tanuki on NW 21st Avenue: no sushi, no kids. When renowned Toro Bravo chef John Gorham announced plans to open a brunch spot, the lines began forming immediately, and for good reason: the food is inspired, and so is the mood. Dishes are served family-style, allowing diners to split, share, and compare. Small plates include thick slices of toast smeared with a spreadable cheese and seasonal jams—simple but memorable. You won’t find eggs to order, but they turn up everywhere—fried with a cheddar biscuit or over-easy atop spicy North African sausage and couscous. The French toast, served with fruit-infused maple syrup and whipped cream, bids for the best in Portland. A light frittata packed with farm-fresh vegetables arrives still sizzling in a cast-iron skillet. A communal vibe will tempt you to try new things—a valuable habit at Tasty n Sons, where an adventurous spirit is always rewarded. 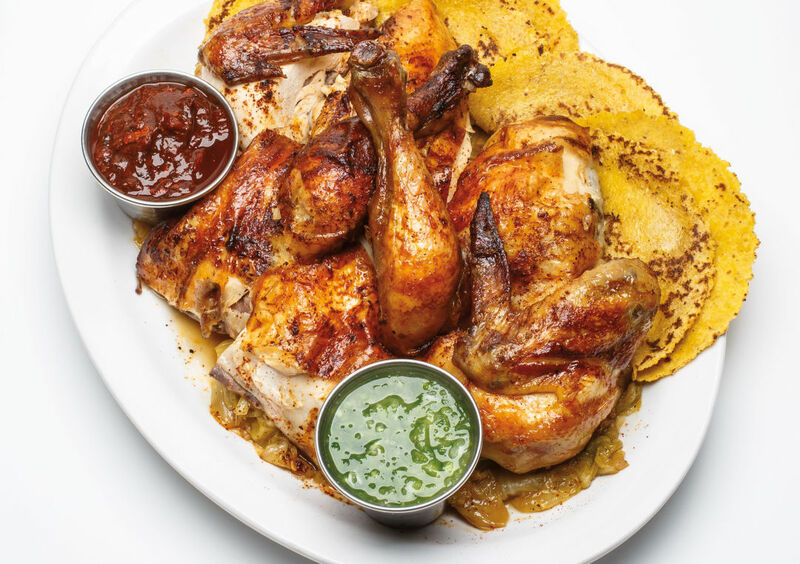 Chef John Gorham has managed to import the singular rowdiness and rugged charm of a tapeo in Andalucía to his Spanish-inspired east-side eatery, from the rough-hewn communal tables to the tiny bistro settees for two and the cozy chef’s counter in back. As for the delicious food, there’s a little French and a pinch of Northwest thrown into the mix—evinced by the creamy sherried chicken-liver mousse and the garden-fresh salads made from local greens—but it’s all guided by the spirit of delicious tapas. Expect flavorful paellas, fried green tomatoes with pickled mayo, juicy crab-and-pork croquettes, seared scallops and braised lamb with apricots and coriander, and salt-cod fritters, not to mention bottles of pétillant txakoli and robust Rioja from the modest wine list. Any toreador would feel right at home. Drawing from what the Thais call aahaan kap klaem, or food made for eating with whiskey, Pok Pok’s Andy Ricker re-creates Asian pub snacks without compromising for Western palates: stewed pork, frog legs, and a bamboo-shoot salad, all designed to be washed down with homemade drinking vinegars, savory cocktails, and ice-cold bia wun, or “jelly beer.” Begin your education with kai saam yang, a simple mélange of toasted peanuts, minced shallots, lemongrass, and salt flecks; miang kham, mats of strong, herbal-flavored betel nut leaves meant to be rolled around a tasty mix-up of dinky dried shrimp, peanuts, fiery peppers, fresh ginger, coconut, shallot, and lime rind; and neua sawan, deep-fried beef shreds served with lime leaves. The pad Thai, served only after 10 p.m., is Portland’s best. Relax, vegetarians! It's not all about prime cuts in this town. Five spots taking wine pairing to the next level. 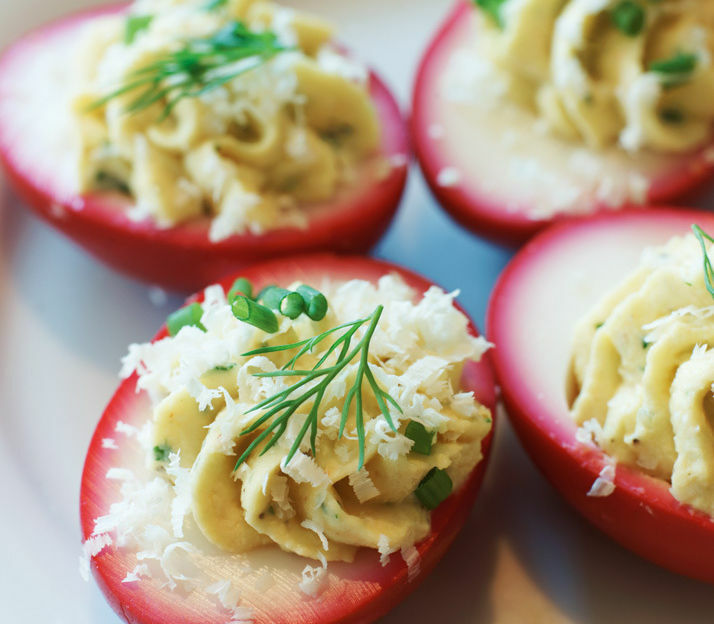 You don't need to rent a tux to tackle these low-brow dishes. 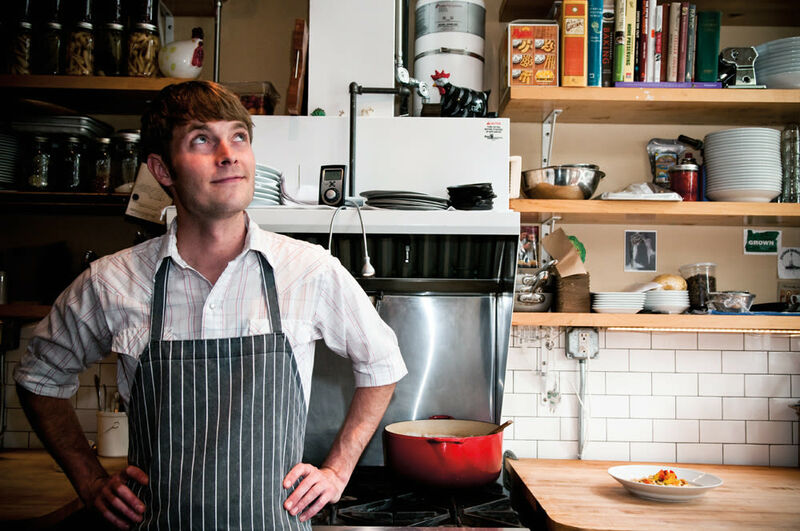 Portland's top two culinary minds are French-inspired chefs from different generations. Here's what to watch in the final months of 2012. How Will the Hoxton Hotel Change Old Town?